From the CloverDX perspective, select File → New → CloverDX Project. 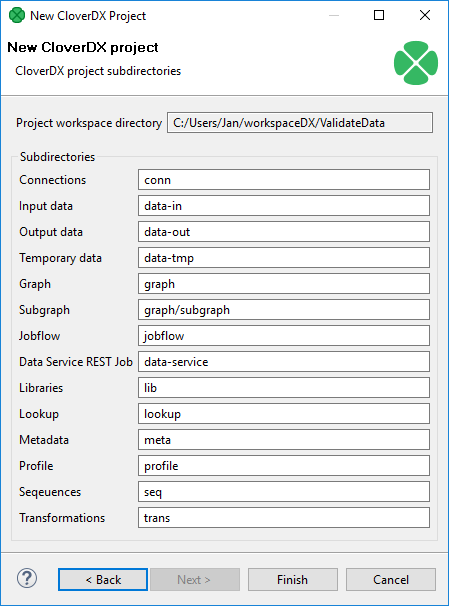 In the next step, you can set up names of particular project subdirectories. We suggest to use the default values. 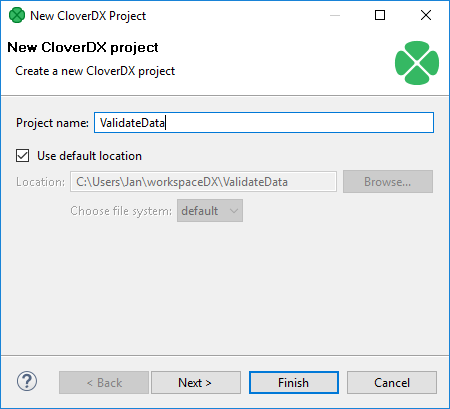 Click Finish to create the selected local CloverDX project with the specified name.